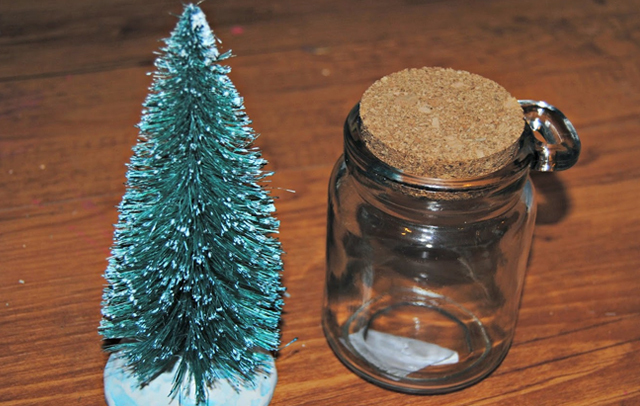 Christmas and crafting go hand in hand, every holiday season we make lots of crafts. I went to Joann Fabrics and they took FOREVER to cut my fabric. There was about 33 people ahead of me, all with baskets full of fabric and hopeful ambitions to get it all done. Anyway, I LOVE vintage bottle brush trees but they are really expensive, so I started making my own. 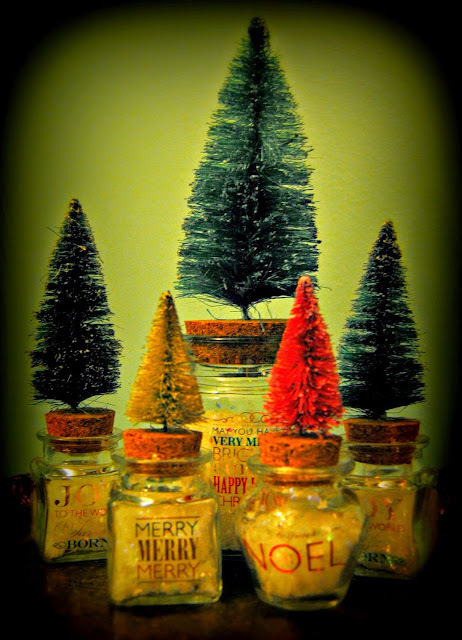 I bought a bag of those miniature trees that are used for those little houses in Christmas scenes and some cute little containers from Hobby Lobby. Then I bleached the trees. Some I dyed other colors, but some I left white. I added some cute scrap booking stickers to them and created my own little forest! 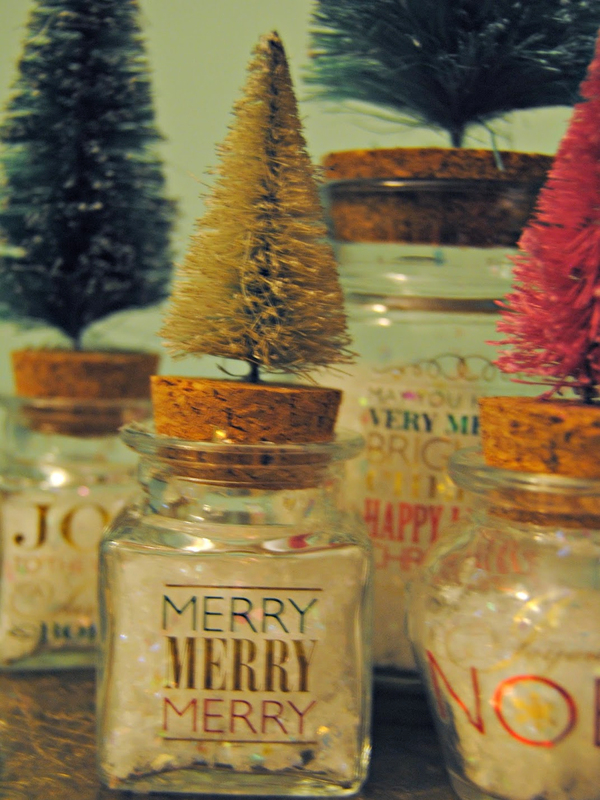 I also added some fake snow to the inside of the bottles with some glitter, to add that wintry sparkle. 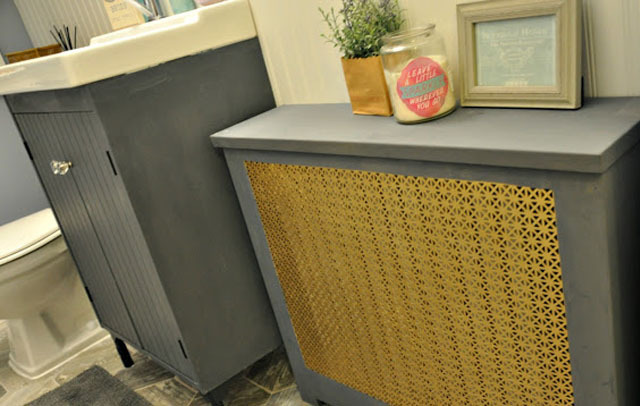 You know I add glitter whenever I can! You should try and create your own little vintage forest wonderland, if your not local, message me and I can mail them! These are so cute - love them. Those are adorable, and timeless! They have been around forever and still going strong. Love that! I wouldn't have thought to bleach them. Good thinking!